We are one of the primary manufactures and suppliers of Antihypertensive Tablets. 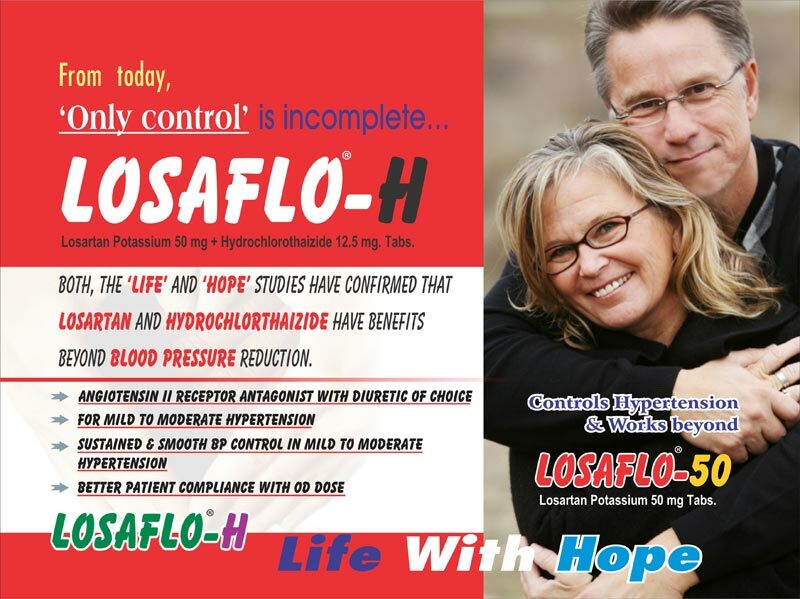 The Antihypertensive Tablets are offered by us under the brand name LOSAFLO-H. Both, the â��lifeâ�� and â��hopeâ�� studies have confirmed That losartan and Hydrochlorthaizide have benefits beyond blood pressure reduction. Losartan Potassium 50 mg + Hydrochlorothiazide 12.5 mg. Tabs.